5 Questions With...John Stanton, director of THE LAST BAY SCALLOP? 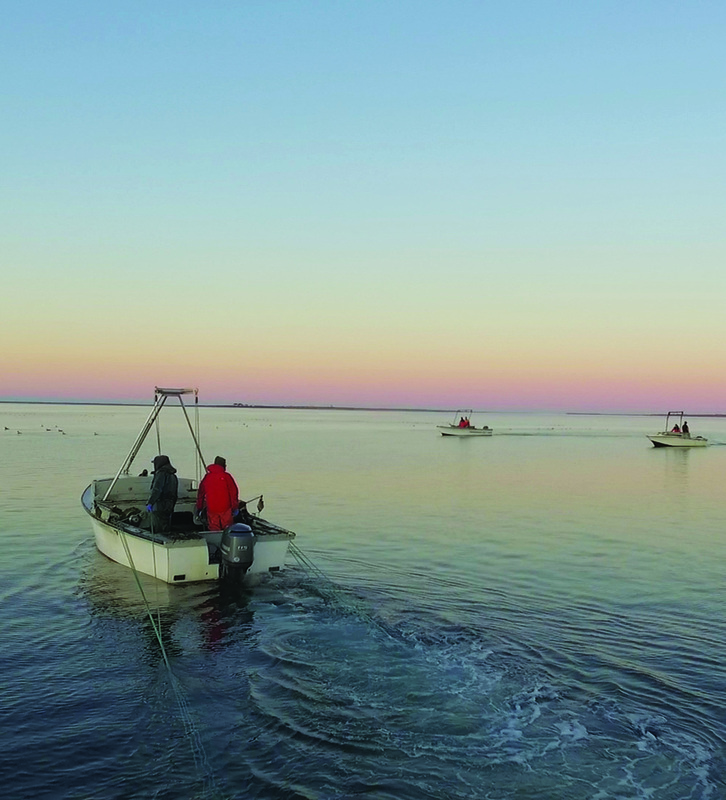 Documentary filmmaker and Nantucket resident, John Stanton, has crafted an important film on a topic of great importance to Nantucket Island: the declining bay scallop fishery. His short documentary THE LAST BAY SCALLOP? possess the question about the future of Nantucket’s scallops to viewers and to those in a position to affect change. We recently spoke with him about making the film and what he hopes to impress on viewers. NFF: You’ve said you like to make and tell ‘stories about communities.’ The Last Bay Scallop tells the story of a community very close to home. What did you learn during the process that you didn’t know before? John Stanton: It’s not so much about what you learn--I know all the people and the problem--it’s more about finding that crossroad when a local culture may be lost due to lack of environmental concern. There are problems in the harbor which people are working on and the film address some of the changes in the Nantucket community. I make films about local cultures that seem to be slipping away. NFF: Detail your production process from development to final edit. JS: There was a story I wanted to tell and I knew where it was happening and the people involved. The biggest thing in my favor was Carl Sjolund, who’s personally carried the film. I knew he would be both informative and entertaining on-screen. For my process, I start with a chat and a notebook and I get a feel for what people want to say. Then I start developing a loose script, look for funding, and recruit my team. Andrew Cromadie, my DP, was local talent I got. And I usually work with a 2- or 3-man crew to keep people who speak to me comfortable. I cut the film myself, and from conception to final cut, it was about 6 to 7 months. The story was right here, so it went pretty quickly. I guess, thinking about it, a study on the loss of eelgrass over the last decade was the impetus for the film. I was at that meeting when the results were released and shortly after that I began talking to both fishermen and scientists about the problems in the harbor and with the scallop fishery. NFF: You don’t shy away from the politics of the issue, but conclude the film on a hopeful note. What, ideally, will audiences take away from screening The Last Bay Scallop? JS: I kept it to 30 minutes because I want there to be audience discussions afterwards. I think nothing is more powerful than watching a film with neighbors and immediately afterwards talking with your neighbors. You hope people will be opened to the issues of what is happening with the harbor and what needs to be done. We made a 10-minute version in advance of a Nantucket Town Meeting to help raise the issue. In the end I like to tell stories about how to be in the world, and being a commercial fisherman, a scalloper, is one of those ways. NFF: Talk about some of the characteristics specific to bay scallop fisheries and why carefully-considered conservation is key to their survival. JS: Well [the issue facing] bay scallops is like the canary in the coalmine; ecologically, the harbor catch has been decreasing steadily over 10 years. The joke was, if you can get a job, you can always scallop. That’s changed as people can make more money in construction. The life cycle of a scallop is dependent on eel grass which has declined. A study came out which inspired me; it reported that we’d lost 50% of eelgrass in the past 10 years, and this loss has come from harbor pollution. That pollution has increased nitrogen levels, and algae, which kill eelgrass, thrive in nitrogen-rich environments. NFF: In your own words, why should people come to see The Last Bay Scallop at Nantucket Film Festival? JS: I would like the film to reach out to both islanders and folks who only recently came to this island, to both summer folks and the people who travel here specifically for the film festival. I would like for those audiences to be reminded of this moment of local culture that still exists in this changing world we live in. THE LAST BAY SCALLOP? 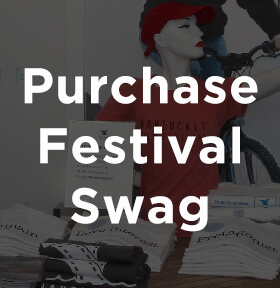 plays the Nantucket Film Festival in a Special Presentation on Friday, June 24th.